At Luna HCA, our sole priority is to provide outstanding service to our clients. To help accomplish this, we partner with other companies to assist in all areas of client deliverables. These companies have developed a great trust within our team and in the industry. If you are interesting in partnering with us, please read more HERE. Pinnacle Healthcare Advisors provides electronic health record and performance improvement consulting, as well as interim resources. Our collaboration provides clients with a full revenue cycle and compliance solution. 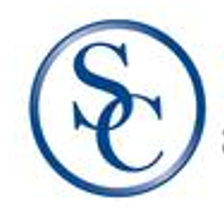 Spectrum Consulting provides senior level healthcare financial management services. Services include business planning and feasibility studies, strategic pricing, valuation and fair market valuation services, organizational financial improvement services, financial modeling, and reimbursement analysis. Our collaboration provides a full service solution more closely related to our middle revenue cycle services including charge description master (CDM) and charge capture reviews. Truitt Health is an industry expert in healthcare integration for organizations experiencing change. From C-suite strategic technology planning during M&A, to custom interface development, vendor portfolio management, and EHR optimization, Truitt Health can create, navigate, and successfully implement a Health IT road map that will guide success and measurable ROI for your institution in the new MACRA era. Our collaboration provides for financial, compliance and reimbursement advisory services.